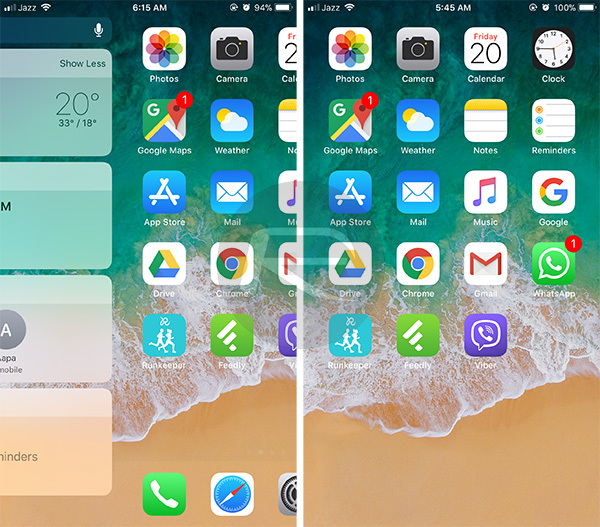 A new iOS 11 glitch allows users to hide the Dock, albeit temporarily, as well as change launch animation for apps. Here’s how it works. Although iOS has come a long way since its maiden release, it still isn’t quite there yet when it comes to customization. Apple’s mobile operating system has made way for much flexibility, particularly since iOS 5, though the Home screen remains more or less the same at its core, most likely because the company doesn’t want to, as they say, fix what isn’t broken. That still leaves those of us who appreciate the joys of sweet customization without many options beyond changing the wallpaper or having to jailbreak. Even the dark mode built into iOS 11 leaves the Home screen untouched. Every now and then, however, astute users find a way to exploit certain bugs within the OS to fill this void. The latest of these glitches can be used to hide the Dock and change launch animation for apps. Here’s how it works. Step 1: Switch to the widgets area to the left of the primary Home screen. Step 2: Press the Home button once, then swipe again as soon as it comes to a rest at the primary Home screen, and the Dock should disappear. It’ll likely take you a few tries to get the timing just right, but we can confirm that it does work, at least on the current, public release of iOS 11 (iOS 11.0.3). Note that hiding the Dock won’t allow for the empty space left behind to be used as an extra row of icons on each Home screen. You should also, as mentioned earlier, notice a change in app launch animations. 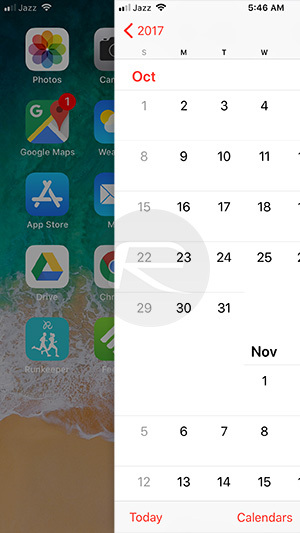 The glitch causes Home screen launch animations to be swapped with the slide-in animation used for app switching, though it isn’t consistent – you may start seeing the zoom-in animation after consecutive launches. 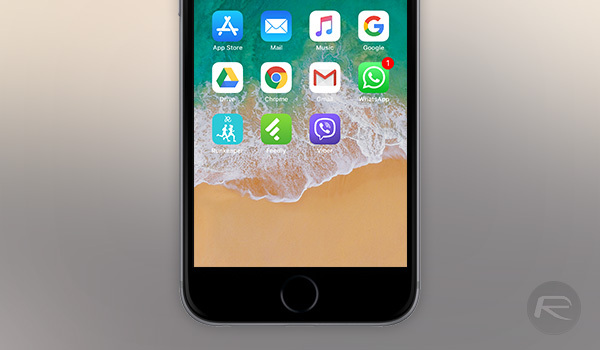 The Dock remains hidden even after you lock and unlock the screen, or launch apps, though a simple swipe to the widgets area and back will unhide it, as will a respring or reboot.